“LIFE IS difficult, but it’s incredible to be awake for it, to be present for it, both the good and the bad stuff.” So declares John Grant, who has known plenty of life’s slings and arrows. Yet he has come through them all to arrive at a place of self-acceptance, and to see his words and music resonate deeply with audiences across the world. Galway is one such place where his music is much loved, and he has performed some unforgettable shows in this city, chiefly that towering performance in the Big Top at the 2015 arts festival, when Grant became the headline act after Sinead O’Connor pulled out, while another mesmerising performance was delivered the following year at Seapoint. Yet such is the lot of a touring musician, Grant has rarely had the chance to explore Galway - although the city has left its mark on his tastebuds. Grant returns the end of March to play Leisureland, and songs from his latest album, the critically acclaimed Love is Magic, will feature strongly on the set list. The album marks his full immersion in electronic sounds and forms, a process that began with 2013’s Pale Green Ghosts and continued with 2015’s Grey Tickles, Black Pressure. He acknowledges it has been a long process. Humour, particularly of a self-deprecating, black, and sardonic kind has always been a feature of Grant’s music. Love Is Magic, particularly tracks like ‘Diet Gum’, find the artist being unsparing on himself. “I am very critical, very harsh, on myself,” Grant admits, “but I’ve also learned to be happy with who I have become. I’ve retained many friends throughout the decades and feel I am a good friend. I’ve met many incredible people. Human interaction is very important to me. If you come at it with a humility of, 'Yes, I am very flawed, but I also think I bring a lot to the table', then what you see is what you will get. It’s a comfortable place for me to be. One of Grant’s greatest achievements to date as a songwriter is ‘Glacier’, where he processes his experiences as a gay man growing up in the conservative Christian atmosphere of the USA in the 1970s and 1980s, and turning them into a rallying cry, and words of deep solidarity, encouragement, and hope to LGBT+ people finding themselves in challenging circumstances. Indeed he once referred to it as, ”the song that I wish I would have heard when I was a teenager”. “There’s a lot of crying during that song,” Grant notes of audience reactions to ‘Glacier’. “I feel proud of that song. The music is dark and funny and there is a huge dose of compassion in there, but I don’t know if I could have accepted that song when I was young. If someone had said to me when I was 13/14, and going through the things I was going through then, ’Oh you gotta hear this song’, I would have replied, ‘Why do you think I need to listen to this, you pervert?’ I don’t know if I would have wanted to hear it, or deal with it. In 2015, as the results from Ireland's equal marriage referendum were flowing in, Grant Tweeted ‘Congratulations Ireland, love you’. The years since have seen progress and, with the coming to power of Donald Trump and Jair Bolsonaro, backlash. Does Grant feel the Western world has turned a major corner in its attitude to LGBT+ people, or is there still a struggle to be had? “It’s a good question,” he replies. “People should be allowed to do what they want to do within their own personal space, as long as they are not hurting themselves or anyone else, and not be subject to laws imposed by people who have no contact or understanding of that experience of life. We are definitely going forward. We have turned a corner. There are things that have happened that, when I was young I never thought I would see. 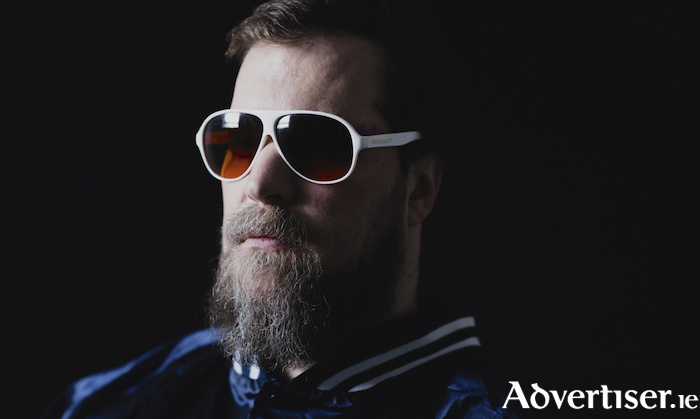 John Grant plays a ‘Róisín Dubh presents…’ concert at Leisureland, Salthill, on Saturday March 30 at 7.30pm. Tickets are available from www.roisindubh.net; the Ticket Desk at [email protected], Shop Street; and The Róisín Dubh.